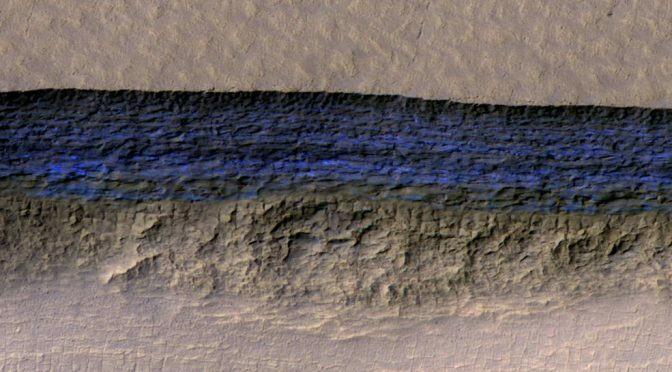 It has previously been shown that there is shallow ground ice under roughly a third of the Martian surface, detected with spectrometers and ground-penetrating radar from orbiting spacecraft. The exposed faces of these scarps provide us with a cross-sectional view though this ice, which is over 100 metres thick in some places. The ice scarps are believed to be receding and widening over time, as the ice sublimates from the surface, turning directly to water vapour. It appears that the exposed ice should be pure enough to be useful for future manned missions, with NASA currently intending to send humans to orbit or possibly even land on Mars by 2033. The subsurface ice should also be easily accessible in many areas, at less than a few feet below the surface. However, the ice scarps are located at high latitudes – between 55 to 58 degrees in both the northern and southern hemispheres. Any suitable landing sites for a manned mission would likely be closer to the Martian equator where it is warmer, but where the ice has generally been driven further below the surface by the higher temperatures. It is also believed that liquid water once flowed on the surface of Mars, which raises the possibility that Mars might harbour microorganisms in its subsurface ice. 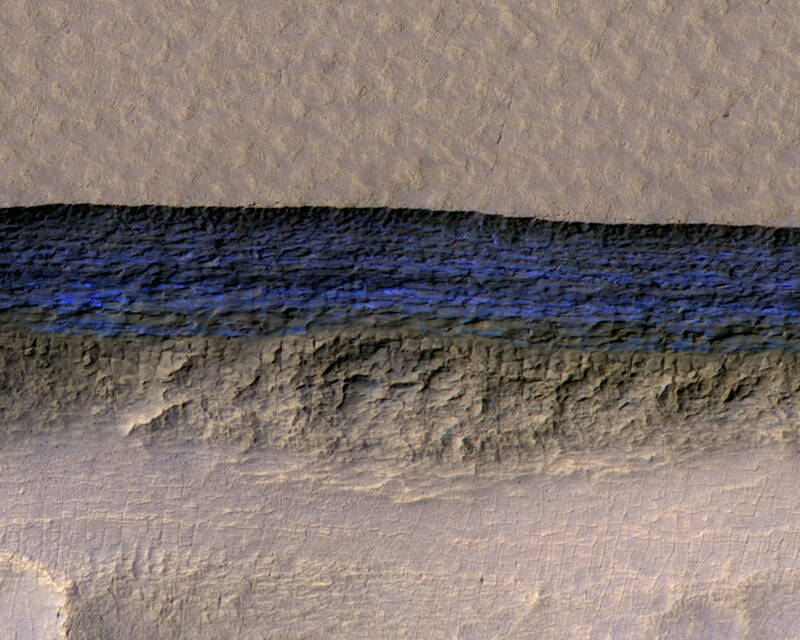 The scarps should also provide scientists with information on how climatic conditions have varied in the past, as color variations suggest layers deposited with different proportions of ice and dust. It is thought that the ice may have been deposited as snow when the tilt of Mars’ rotation axis was greater than it is now.